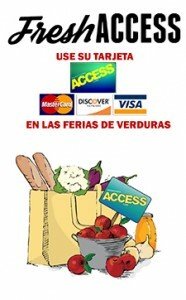 Use su tarjeta en las ferias de verduras. 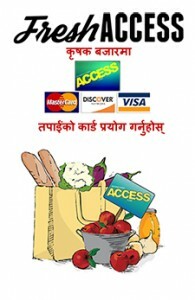 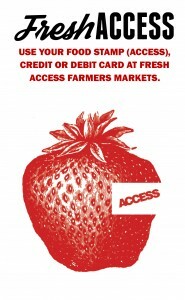 How to use your food stamp (ACCESS), credit or debit card at participating Pittsburgh-area farmers markets. 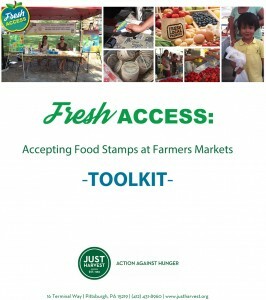 Everything farmers and vendors need to know to participate in Just Harvest’s Fresh Access program, enabling food stamp purchases at Pittsburgh-area farmers markets.